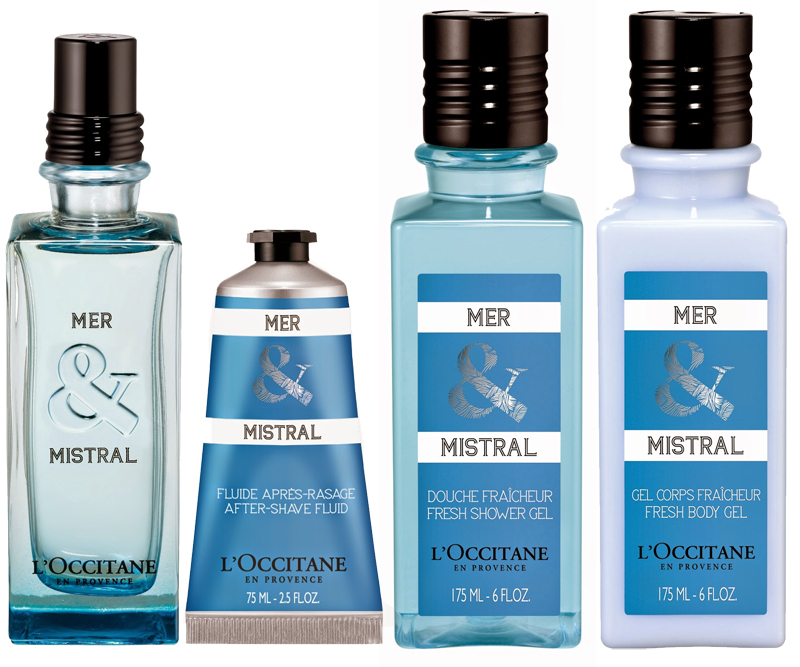 L'Occitane Mer & Mistral - 75ml EDT - $75, 75ml After Shave Fluid - $36, 175ml Fresh Shower Gel - $20, 175ml Fresh Body Gel - $24 - a bracing aquatic fragrance with top notes of sparkling lemon and mandarin; heart notes of cypress, rosemary and pine; and base notes of cedar, white amber and musks. The scent is fresh and does make me think of the sea but even though it is being touted as a unisex scent, it is very masculine smelling to me, so not something that I would want to wear myself - but I would definitely enjoy smelling it on the boy! Available now at all L'Occitane boutiques across Canada and online at www.loccitane.ca.